IBM Db2® Big SQL is a hybrid SQL on Hadoop engine delivering advanced data query for the enterprise. Use a single database connection or query for disparate sources such as HDFS, RDMS, NoSQL databases, object stores and WebHDFS. 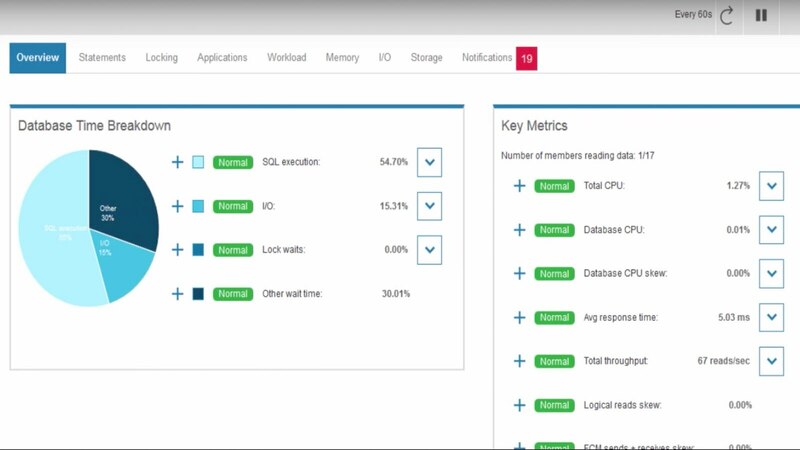 Benefit from low latency, high performance, security, SQL compatibility, federation capabilities and the ability to do ad-hoc and complex queries. 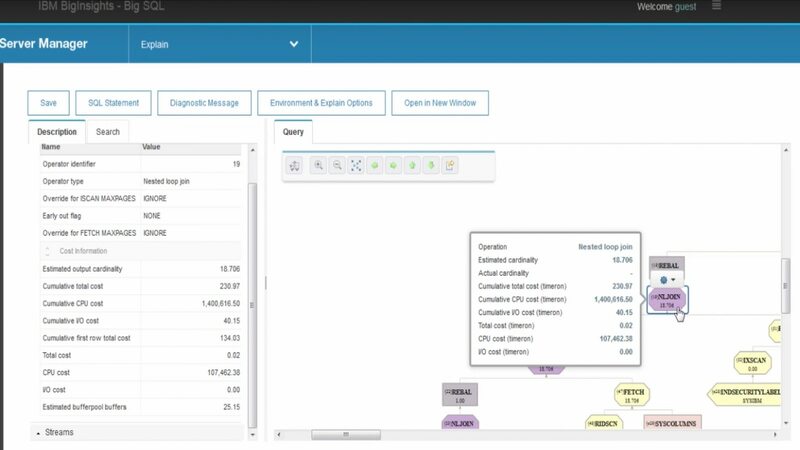 Compared to using a generic Hadoop solution such as Cloudera, IBM and Hortonworks clients deploying Analytics workflows can improve the three-year ROI despite higher software costs. 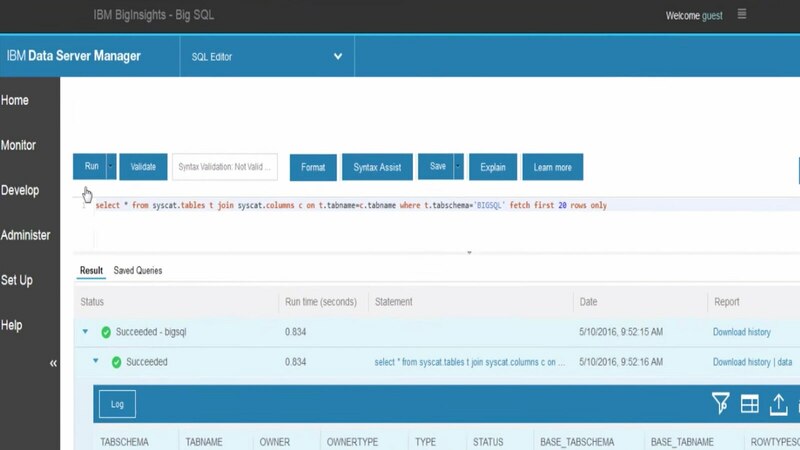 Get started with Db2 Big SQL Sandbox, which comes with sample data, tutorial and exercises. Provides federation and integration capabilities, enabling you to virtualize and join disparate data sources in a single query. 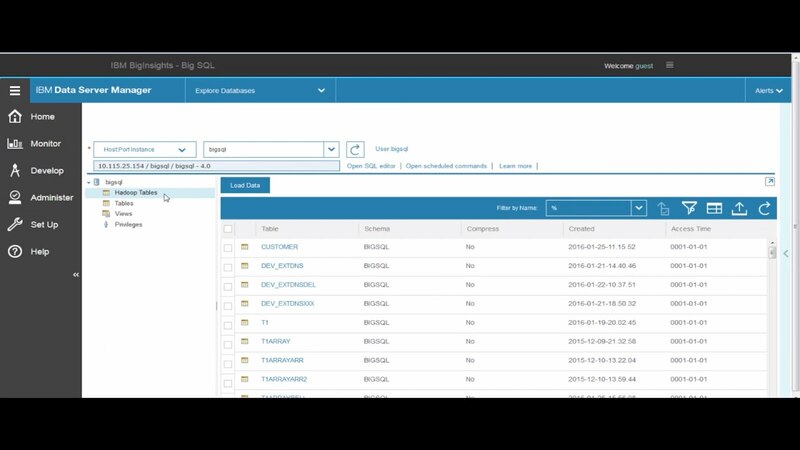 Not only allows you to run SQL on Hadoop, but understands SQL dialects from Db2, Netezza, Oracle SQL and PL/SQL to enable unchanged porting of applications. 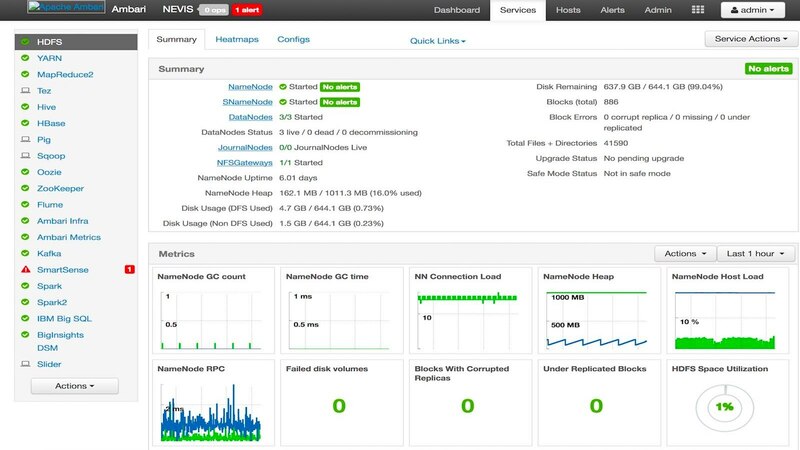 Can run all 99 TPC-DS queries up to 100TB with numerous concurrent users. 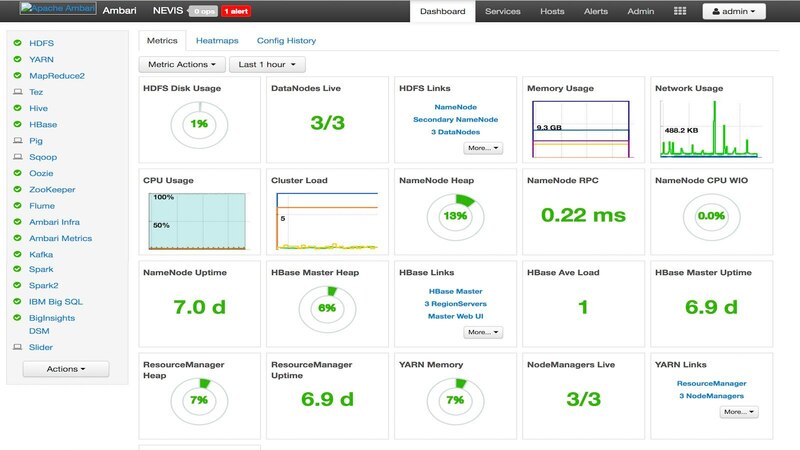 Supports multiple workers per node for efficient CPU and memory utilization. Provides centralized security administration using role-based access control, row-based dynamic filtering, column-based dynamic masking and ranger integration.